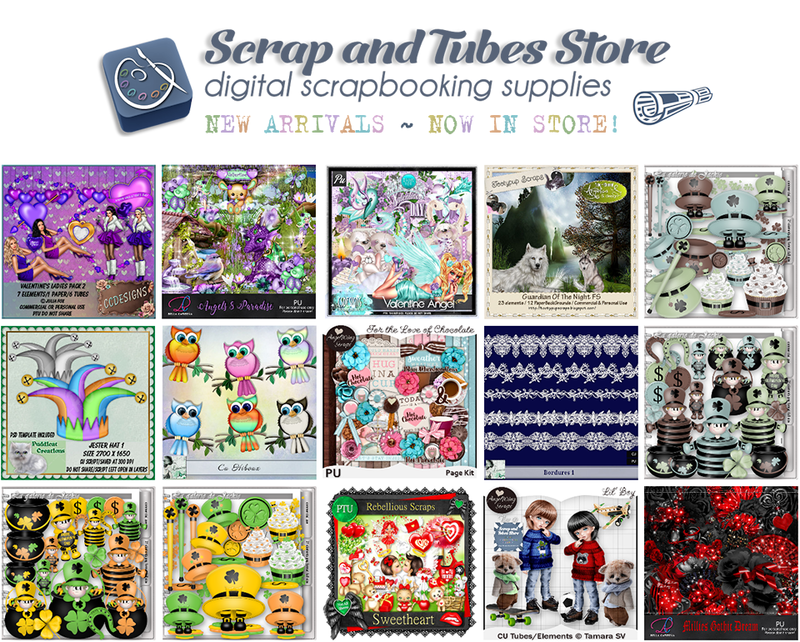 Today, "Scrap and Tubes Store" have many great new products for Valentine's Day and St. Patrick's Day. Also, a bunch of designers are on sale with crazy discounts. Take advantage on them and grab some cute and useful items for your upcoming scrapbook projects! And do not forget to put one of the *free gifts in your shopping cart. This month, 2 beautiful exclusive products are offered to you!